This recipe tastes great and goes really well with the beat salad that is already on my blog! 1.) Wash, dry, peel, and cut your potatoes horizontally into 4 pieces. 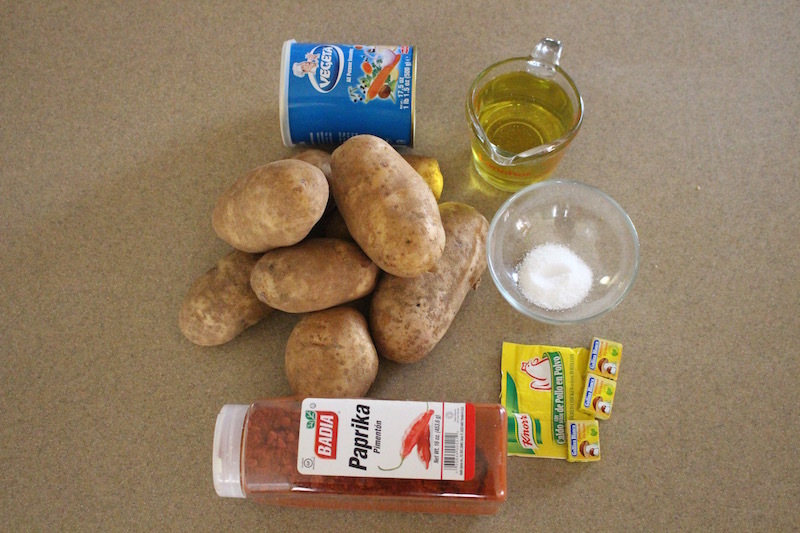 In a large pot add your potatoes, water and salt. On a high heat let it boil until it starts bubbling. In a separate bowl add all of you’re seasoning and olive oil. Mix together well and drain your potatoes.Next place your potatoes in the baking pan and pour your seasoning mixture on top. Mix well again so all of the potatoes are covered equally. 2.) Place your potatoes in your oven and bake for 1 hour and 25 minutes on 375F. 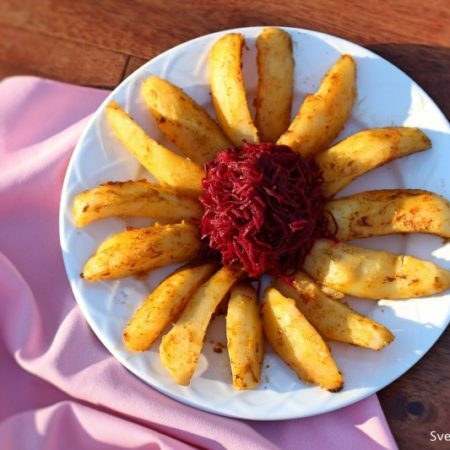 Place your potatoes on a serving dish and enjoy. 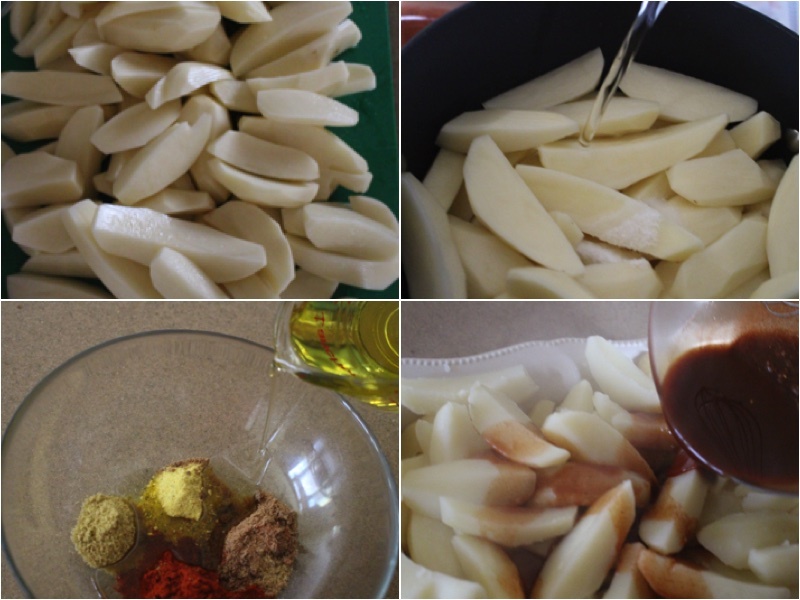 Wash, dry, peel, and cut your potatoes horizontally into 4 pieces. In a large pot add your potatoes, water and salt. On a high heat let it boil until it starts bubbling. In a separate bowl add all of you're seasoning and olive oil. Mix together well and drain your potatoes.Next place your potatoes in the baking pan and pour your seasoning mixture on top. Mix well again so all of the potatoes are covered equally. 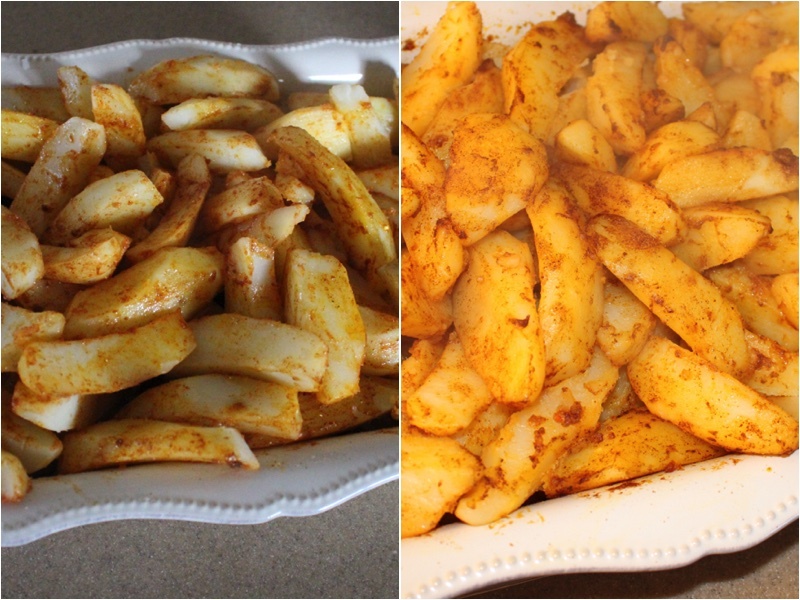 Place your potatoes in your oven and bake for 1 hour and 25 minutes on 375F. 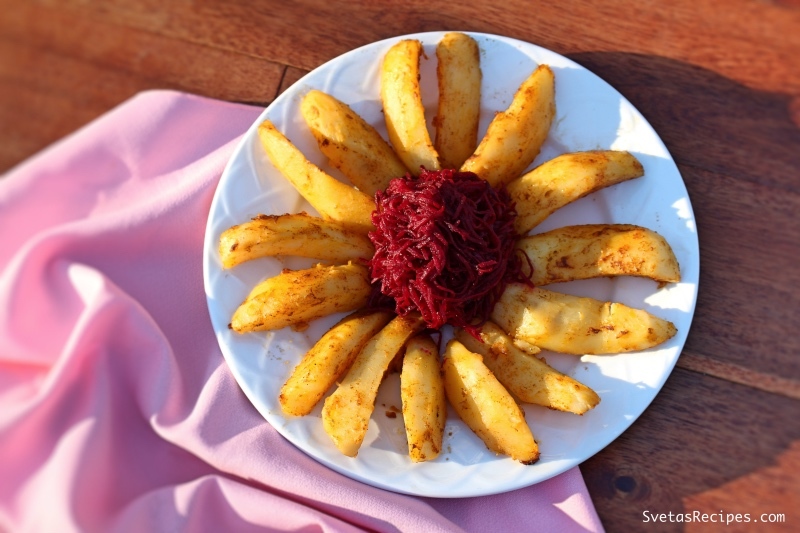 Place your potatoes on a serving dish and enjoy.